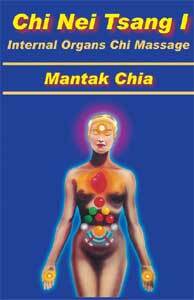 In In Chi New Tsang I Master Mantak Chia, continues to bring the ancient, time-tested wisdom of the Universal Healing Tao System to the Western world. Chi New Tsang I presents a whole new understanding and approach to healing with detailed explanations of self-healing techniques and ways to avoid absorbing negative sick energies from others. Chi Nei Tsang I is full of new ideas and ancient healing techniques gathered from thousands of years of experience. The art evolved in an era when there were few physicians and people had to know how to heal themselves. For many today the situation remains the same. Chi New Tsang I teaches people how to take full charge of their health and well-being. First known Techniques that Apply to Navel Center In the navel Center negative emotions, stress, tension and sickness accumulate and congest. When this occurs, all vital functions stagnate. Using Chi Nei Tsang I techniques in and around the area of the navel provides the fastest method of healing and the most permanent results. Many techniques of other systems only work at the body's extremities, far from the Navel Center and the organs. The Chi New Tsang techniques taught in this booklet can be applied to the abdominal center where the Universal, Cosmic Particle and Earth Forces are combined and stored.